The moment you step into The Slate, you’re whisked away to ANOTHER world, where exotic birds shine with dazzling colours and verdant rainforests splendidly grow. 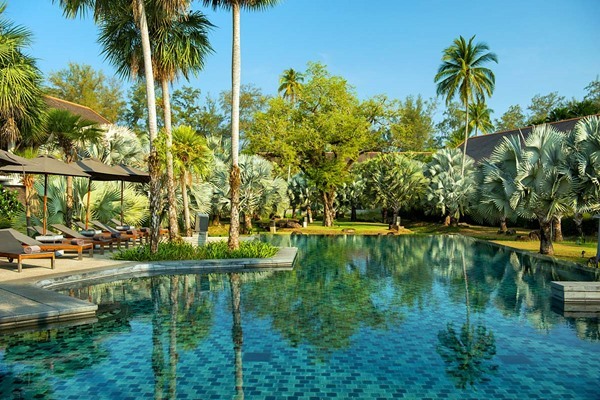 Who would have thought something so GORGEOUS could be found just a short drive away from Phuket International Airport. Discover the turquoise waters and pristine coral sands of Nai Yang Beach on Phuket's serene northern shore. Enter a MAGICAL world of peace and serenity bordered by the DAZZLING waters of the Andaman and the lush green shades of protected national parkland. Easily accessible from Phuket International Airport and historical Phuket Town, The Slate blends the fantastical beauty of Phuket with timeless echoes of its past.